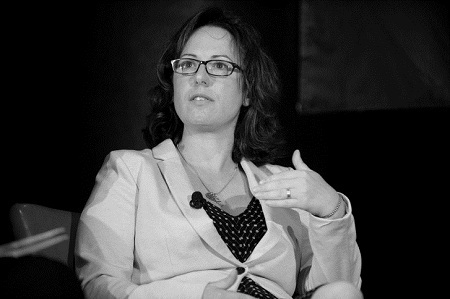 Maggie Haberman Married Husband Dareh Ardashes Gregorian in 2003; Any Children? 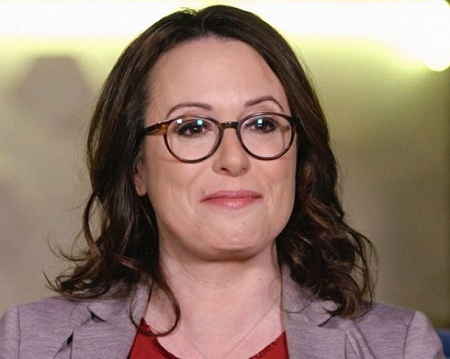 Maggie Haberman is living a blessed life with her husband Daren Ardashes Gregorian. The couple is blessed with three adorable kids. 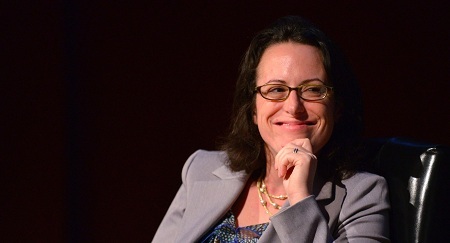 Maggie Haberman maintained a perfect balance in her professional and the professional one. Starting her career as a bartender, she's achieved the best in her life working as a political analyst for CNN and a White House correspondent for The New York Times. No doubt, her husband Dareh Ardashes Gregorian, a reporter helped her a lot to learn in news writing and reporting. Most probably, their common profession brought them together. Maggie Haberman, 45, is living a happy married life with her husband Dareh Ardashes Gregorian. He is a reporter for New York Daily News; previously worked at the New York Post. The two tied the knot in a ceremony attended by their friends and family members on the Tribeca Rooftop in Manhattan in November 2003. The couple is proud parents of three children Max Gregorian, Miri Gregorian, and Dashiell Gregorian. Sources say that Haberman currently resides in Brooklyn. Despite her busy schedule, she still manages as much as she can with her family. As many famous TV personalities, Haberman also prefers to maintain her personal life under the radar. She doesn't explain her personal details with her fans and media and that might be the best way to live a wonderful family life without any gossips. Haberman worked as a bartender for four years and she admitted that it was the best training she received for how to approach people. She joined the New York Post as a clerk in the beginning because she was unable to get a job in magazines. She admitted that her husband helped her a lot in newspaper writing. She began her professional career as a journalist in 1996 in the New York Post. In 1999, she was assigned to cover City Hall where she got involved in political reporting. Later, she worked for the Post's rival newspaper, the New York Daily News in the early 2000s. You May Like: Meet the new Chief White House Correspondent for NBC, Hallie Jackson. See who is her inspiration? In 2008, she returned to the Post covering the presidential campaign and other political races. She was appointed as a senior reporter in Politico in 2010. She joined The New York Times in early 2015 as a political correspondent for their presidential campaign coverage during 2016. She's been often dubbed 'maybe the greatest political reporter working today'. She also formed 'a potent journalistic tag team' with Glenn Thrush as of spring 2017. In 2018, she earned the Pulitzer Prize for National Reporting for reporting on the Trump administration. Recently, in January 2019, she stated that President Donald Trump didn't want to give his time to give a national speech. Further, he said that his planned Thursday trip to the southern border is just a waste of time. Born on 30 October 1973, in New York City, New York. Her nationality is American and belongs to the White-American ethnicity. She completed her graduation from Ethical Culture Fieldston School. She also attended Sarah Lawrence College and obtained a bachelor's degree in 1995. She initiated her professional career in 1996 when she was hired by the New York Post.